For Isaac sport is his passion and hobby, driving him to succeed in every aspect of his life. In just four years of competing he was selected for the Northern Ireland senior team. Isaac believes the secret to his success is consistency, competing at key events such as the ABT Home International, the ABT British open and Christmas Cup. Isaac represented the University at BUCS events where he secured many BUCS points, regularly going home with top results. Born in London and raised in Devon, Sophie began playing pool at the age of 14 and since has not looked back. Her passion for pool led her to winning the British University Colleges and Sport (BUCS) UPC Women's Pool Championships in 2014 and 2015 as well as qualifying for the England women's team in 2015. Most recently her team took gold to become Nations Cup winners. Nicola has very quickly established her profile at an international level with achievements that include winning Bronze at the ETU Sprint Duathlon European Championships AG 25-29 in 2015, taking 2nd place in the Plymouth Tri Club Time Trial Series 2015 and 3rd place at the Bodmin Triathlon 2015, which was her first ever Triathlon competition. In her final year at Plymouth University Nicola managed Gold at the European Championships 2016, running a successful Crowdfunding campaign to get her there. 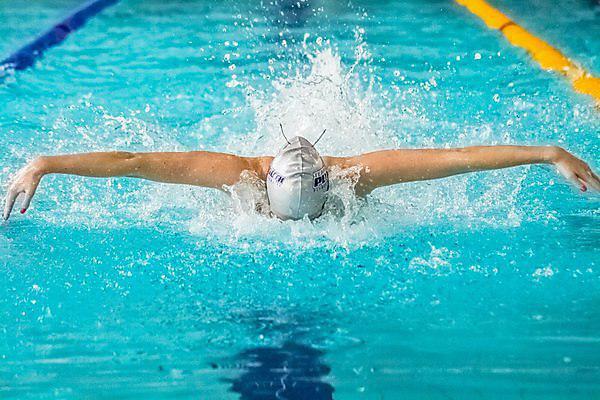 Originally from Cumbria, Charlotte lived in Scotland until she was eight and upon moving to Plymouth at the age of 11 she discovered her talent for Underwater Hockey and began to play competitively. Plymouth University was a top choice for Charlotte due to it embracing low profile sports, which is something Charlotte noticed other institutions didn’t do. Sam has always had a passion for sport and has been successful from the age of 16. He previously placed 7th at the World Age Group Championships and is a European Age Group Champion in the Triathlon.